The official sticker collection of the Spanish Liga for the season 2017 was released in August 2016 and it has a format very similar to the latest editions. After the table of contents (with the possibility of sticking two commemorative stickers not part of the collection but released only with the magazine Jugon) the 20 clubs of the Liga are presented with two stickers each: the club badge (shining sticker) and the trainer. Then the clubs are shown in alphabetical order with two pages each. There is space to glue 16 players per club, but the actual number of stickers per club is larger, because some numbers have two stickers (ex. 10A and 10B). Moreover, there are update stickers ('Coloca') to be stuck on top of stickers of players that are not part of the team anymore. The new feature of this collection is the Serie Oro (Gold Series) with 16 high quality stickers of star players in action. These magnificent stickers have a signature of the player in relief and the hologram of the player portrait. 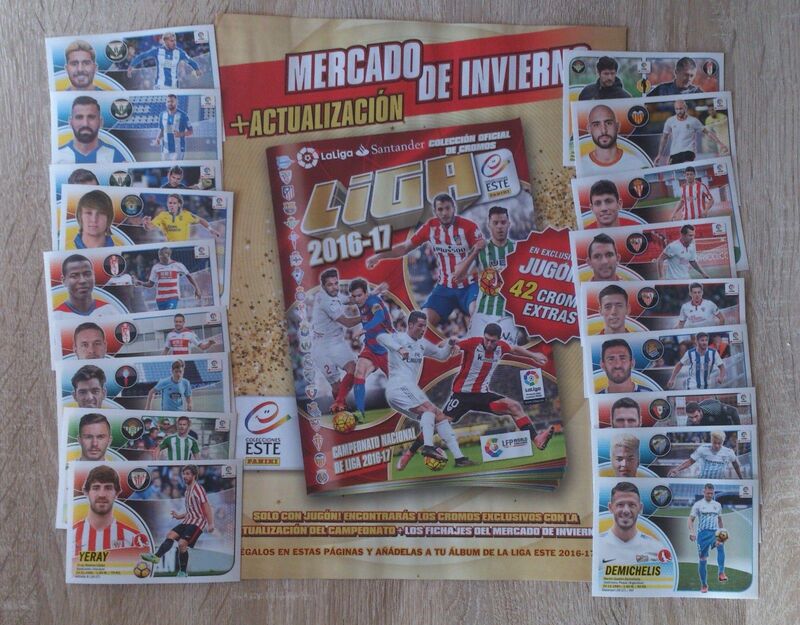 The second division (Liga 2) is represented with a double page of club badges for a total of 11 stickers (2 badges per sticker). The last part of the album includes the new players joining the competition (Ultimos Fichajes) with a total of 64 stickers and one page dedicated to football values with 7 stickers of the character Capi. Update stickers of the winter transfers are released separately with special pages to place them. 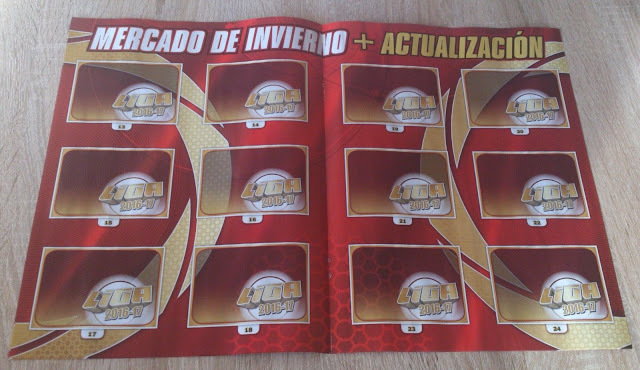 There are in total 42 extra stickers released.